The website set up by Claire Squires, the thirty year old from Leicestershire who died last week running the London marathon for the Samaritans, has now raised more than a million pounds. 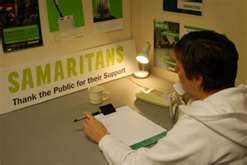 I'm not sure how much, if any, support the Samaritans get from Government but as the economy goes into recession again, wages are frozen and unemployment tops two and a half million, it clearly needs more. As with other charities, the number of people committing suicide should not depend on how many volunteers are dedicated enough to run a marathon or shake a bucket in the street. And maybe I'm being cynical, but I can't help thinking that the death of a young, attractive woman has raised money in a way that that of a middle-aged balding guy with a paunch would not have done. I've just booked tickets for Morrissey's gig in Manchester at the end of July. Since I became a fan of The Smiths as a teenager in the mid-80's, I've become used to the charge that their music - and subsequently that of Morrissey - is miserable and depressing (good practice for a few years later when I got into blues). I've always thought preconceptions about The Smiths and Morrissey's music are a product of London-based journalists misunderstanding them, sometimes deliberately. Beyond song titles like Heaven Knows I'm Miserable Now, Still Ill, Girlfriend in a Coma and Cemetry Gates [sic] and lyrics such as "The rain falls hard on a humdrum town" lies a combination of wry, working-class Mancunian-Irish humour and the joyousness exemplified by Johnny Marr's jangly guitar lines. If you don't believe me, just listen to this performance of Every Day is like Sunday at Old Trafford Cricket Ground in 2004 (I'm in that crowd somewhere). "This is the coastal town that they forgot to close down" always reminds me of Morecambe. twenty-fifth anniversary of Paul Simon's album Graceland. Graceland sparked opposition from the anti-apartheid movement when it was released because it included black South African musicians and was recorded in South Africa, thus breaking the cultural boycott against the racist regime. When Simon and some of the black South African musicians on the album played London's Albert Hall in 1987 to promote it, artists including Paul Weller and Billy Bragg were outside to picket the show. 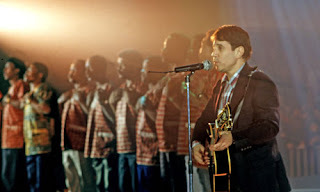 Apparently Simon spoke to the singer and civil rights activist Harry Belafonte before travelling to South Africa to record the album. Belafonte shared Simon's enthusiasm that the world hear the music of black South Africa but advised him to seek clearance from the exiled leadership of the African National Congress before he went. I don't think anyone would put Simon in the same category as acts like Elton John, Rod Stewart and Queen who played lucrative gigs at South Africa's Sun City entertainment complex in the 1980's but was he still wrong to record the album in the country? It seems that Simon would still have fallen foul of the boycott and the ANC if he had recorded the album with black South African musicians outside South Africa. A couple of questions flow from this. Why should black South African musicians have been stopped from working with artists from other countries? And what gave the ANC the right to decide whether they could or not? I supported the boycott against South Africa in the 1980's but never thought that it alone would bring down the apartheid regime. It was really a symbolic means of supporting the liberation movement - much wider than the ANC, and including the massive and at the time militant black South African labour movement - which would bring down a racist regime which was also seeking an end to its international movement. 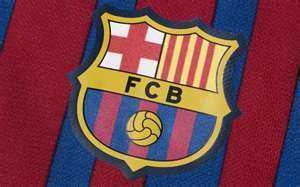 The boycott was also primarily aimed at - and should have been restricted to - the white only South African sports teams, orchestras etc. and places like Sun City which excluded black customers rather than those seeking to build links with black South Africans other than those approved by the ANC. The misguided or malign attempt to equate Israel with apartheid South Africa has led recently to calls to stop the Israeli theatre group Habima performing at The Globe as part of celebrations to mark the four hundred and forty-eight annioversary of Shakespeare's birth. Those who advocate a boycott of Israel include well-meaning people who genuinely think it would help bring about a peaceful resolution of the Arab-Israeli conflict and an independent Palestinian state as well as anti-Semites who want to drive the Jews into the sea and wipe Israel off the map. But none of them I think would oppose a British musician recording with Palestinian musicians in Israel or touring with them here. As April showers hopefully turn into May flowers, the Campaign for Real Ale is preparing to launch its annual Mild Month to promote what is still even in the ongoing revival of cask beer England's most overlooked, untrendy and maligned beer style. I'm still not sure why CAMRA chooses May as the month to celebrate mild ale. In the first half of the twentieth century when mild was the most popular draught beer in the pub it was obviously drunk all the year round, as indeed it still is in parts of the North West and Midlands. Mild doesn't particularly strike me as a Spring beer. Does anyone in CAMRA remember why this time of year was chosen? An item on the local news caught my eye this morning. 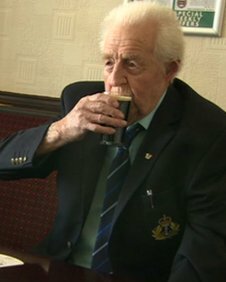 Ninety-four year old Fred Dell from Fleetwood has been popping into the Strawberry Gardens pub for a "swift half of mild" since he was 18 in 1936. The landlord has now said he can drink there for free. Dell's comment that when he started drinking there "You could get half a mild, five Woodbines and a box of matches and a penny change for half a sixpence." reminded me of what an old man in a pub says to Winston Smith in George Orwell's Nineteen Eighty-Four: "When I was a young man, mild beer - wallop, we used to call it - was fourpence a pint. That was before the war, of course." Free beer for the rest of your life when you're 94 is a small reward for seventy-six years drinking. The pub itself has seen some changes in that time if these reviews are to be believed, seemingly for the better. And contrary to what successive health ministers and Chancellors have told us, Dell's longevity proves that BEER IS GOOD FOR YOU. 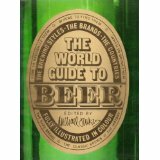 I'm reading The World Guide to Beer by Michael Jackson at the moment, having picked up a cheap copy secondhand on Amazon. I've had his Great Beer Guide for years and remember watching his Beer Hunter TV series in the late 80's. The World Guide to Beer is clearly a precursor of that series and like it covers beer styles from across the world. The book starts with graphs of the world's top beer brewing and drinking countries. That obviously doesn't tell you anything about how good the beer in those countries is. Off the top of my head, I can only think of six countries - Austria, Belgium, the Czech Republic, England, Germany and the Netherlands - where you're never far from decent beer. It's finally happened. 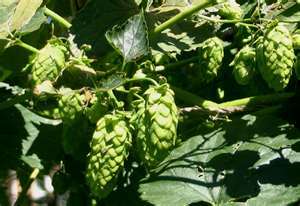 A television series has looked at the history of English beer and brewing without - as far as I can see - rehashing the usual myths, misunderstandings and mistakes. Giles Coren in Our Food this week was in the hop gardens of Kent and also went round the Shepherd Neame Brewery in Faversham. I thought it was pretty accurate and informative but feel free to point out any errors I've missed. I watched Chelsea's Champions League match against Barcelona in a pub in Manchester last night. Most people seemed to be supporting the Catalans, as I was. There are a number of reasons for this - Manchester-London rivalry, the contrast between Chelsea's billionaire Russian backer Roman Abramovich and fan-owned Barca and, probably most importantly, the style of football the Spanish champions play - but it prompts the question: does anyone still support a team in a European competition just because they're British? A hundred years ago today, seven hundred surviviors of the Titanic disaster arrived in New York on board the SS Carpathia. I've watched quite a few documentaries about the sinking in the last few weeks, as well as the still watchable 1958 film A Night to Remember starring Kenneth More as the ship's Second Officer Charles Lightoller. BBC North West's coverage has focussed on Lancashire's connections with the Titanic: the White Star Line had its headquarters in Liverpool, Lightholler was from Chorley, Carpathia captain Arthur Rostron from Bolton and Wallace Hartley, the leader of the band that famously played until the end, from Colne. I'm always bemused when Liverpool and Belfast - where the Titanic was built - express their civic pride in a ship that sank on its maiden voyage with the loss of 1,500 lives. I suppose it's to attract tourists. Even more tasteless are the Titanic hampers and teddy bears and the £6,000 centenary cruise across the Atlantic. 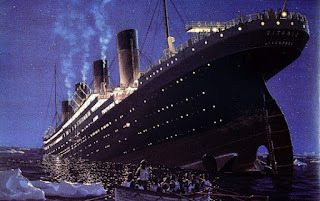 A much larger proportion of third class passengers, many of them Irish emigrants, drowned on the Titanic compared to first class. The idea that this reflects a class-divided society that disappeared in the First World War seems especially wide of the mark now when inequality - in income, education and life expectancy - continues to increase. Apparently, there were fifteen thousand bottles of beer on board the Titanic. I wonder what it was and what condition it's in now. 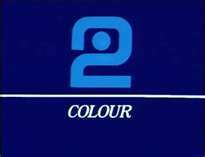 BBC2 are on a bit of a seventies theme at the moment with the drama White Heat - spanning the mid-sixties to early nineties - and the start last night of a new series about the decade. I was born in 1970 so only have random memories of the time: having a bath by candlelight during the miners' strike in the early 70's, getting a week off primary school during the fuel tanker drivers' strike in the late 70's, the Silver Jubilee and Red Rum winning his third National in 1977, Björn Borg winning every Wimbledon in the second half of the decade, Jim Callaghan losing a vote of confidence by one and Margaret Thatcher winning the subsequent election in 1979 (the same year Manchester United lost the "five minute" FA Cup Final to Arsenal). The series The 70's claimed last night that package holidays to Spain started the boom in wine sales. I'm sure that's true but as a beer drinker I was slightly irritated by the "everyone drinks wine all the time now" assumption. I don't at all, apart from the odd glass of champagne at weddings and christenings. In White Heat, the pub in North London the friends drink in was an interesting barometer of social change. Starting out as a basic boozer selling keg beer and ending up a gastropub with cask beer, it reminded me of the transformation of this real pub not that far away. The death of two horses in the Grand National at Aintree on Saturday afternoon has inevitably sparked a debate about the safety of the race. I've very little interest in flat racing and not much more in National Hunt racing but I always look forward to the Grand National. The excitement is admittedly heightened by having a couple of pounds on a horse but I also enjoy the spectacle of the race itself. The Grand National is probably the safest it's been in its history, and the safest it's ever going to be short of taking down the fences. Aiming for a National that is completely safe and still exciting is a non-starter. 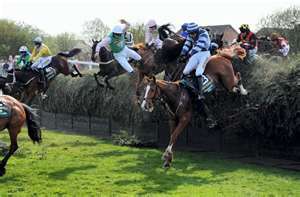 I accept that the Grand National has safety issues and more can probably still be done to minimise equine fatalities. But I find the arguments of the race's opponents less than convincing. The death rate for horses in the National is a bit higher than in flat and other National Hunt racing but is still relatively low (about 2% over the last ten years). The argument that if that number of jockeys died the race would be stopped may or may not be true but in any case implies that human and animal life are of equal value. If that were true, it would lead to far wider consequences than banning the National, including the introduction of compulsory vegetarianism, if not veganism. That may well be a rational thing to do in terms of the environment and avoiding animal cruelty but the moral case is to me less clear. Human beings have evolved over the millenia to enjoy eating meat and riding horses and the best we can do in current social conditions is attempt to ensure that the activities associated with them lead to as little animal suffering as possible. I've been a member of CAMRA for four years - having attended their beer festivals for about ten years before that - but last night was the first time I'd been to a CAMRA meeting. So why did I finally join CAMRA and why did it take me four years to attend a meeting of my local branch, Stockport and South Manchester? Unlike the stereotypical non-active CAMRA member who joins for the benefits of getting into beer festivals for free and discounts in Wetherspoons, I joined for two reasons: the role CAMRA had played in the early 1970's in saving cask beer and more importantly the work it was doing now to save pubs, improve beer quality etc. That I didn't turn up at a CAMRA meeting for four years is due to inertia and being involved with other organisations and societies. It was through blogging that I got to know more about what CAMRA was doing locally and decided I should get involved. I'm not promising to become a super-active CAMRA member, but I am planning to attend more meetings and events of my branch and lend a hand where I can. I was at Salford City Stadium in Barton-upon-Irwell on Easter Monday, my first trip to the new home of Salford rugby league club. Salford's new stadium was always going to feel different to The Willows, the ground where they played from 1901 to 2011. In part, it's because it's new and hasn't got the history associated with The Willows. But it's also to do with design: it's similar to Warrington's new ground in having two seated stands facing each other with smaller standing terraces behind the goalposts. I know Salford only rent the stadium (it's owned by a joint company formed by Salford City Council and Peel Holdings, owners of the Trafford Centre shopping complex just across the Manchester Ship Canal) and I wonder how much input they had in its design. Having watched baseball at Camden Yards in Baltimore, the prototypical retro ballpark, I know that even with a new stadium, brick and wood lend far more character than concrete and steel. Salford, like other rugby league clubs, have effectively been blackmailed into leaving their historic grounds for modern stadiums by the threat of not having their Super League licence renewed. To Salford's credit, they've listened to their fans and included standing areas. Ticket prices are also still reasonable - £20 to sit or stand. The atmosphere on the home standing terrace is still pretty good although the noise is not captured like it was by the low-roofed Shed at The Willows. On the other hand, cantilevering means the view isn't blocked by roof supports. The terraces aren't quite as close to the pitch and from where I was standing in the South Stand the main stand seats looked a lot further away. On the pitch, Salford are playing open, exciting rugby at the moment and are surely hoping that the extra revenues generated by the new stadium will allow them to be genuine Super League contenders in the next few seasons. I've been watching with interest the BBC series Modern Spies, presented by Peter Taylor. 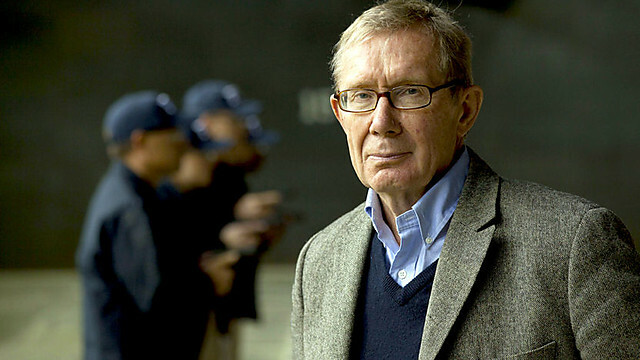 Taylor has a justified reputation for high journalistic standards having extensively covered Northern Ireland over the last forty years and his approach here was similarly thorough and enlightening, The series covered both the Security Service (MI5), responsible for internal security and spycatching, and the Secret Intelligence Service (MI6) which runs British spies in foreign countries. Unsurprisingly, much of MI5's work is now focussed on stopping Islamist bombers and from Taylor's interviews with anonymised serving MI5 officers it appears many of its current operatives are from a Muslim background. This led me to wonder how much time MI5 now spends monitoring the left and what threat it thinks it poses to the British state (not much in both cases I would guess). Up until at least the 1980's, MI5 had a whole section spying on the left and labour movement and files on around a million people. As a civil servant, my transfer to the MoD as a civilan pay clerk was blocked on the grounds that I wouldn't pass "security clearance" so I guess that like many other socialists I have one. Unlike Jack Straw when he was Home Secretary though, I doubt I'll be getting to read mine any time soon. 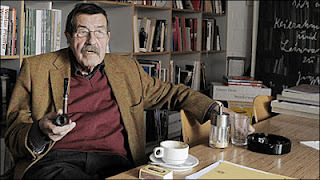 The publication of a poem by the German writer Günter Grass, following the delivery of a submarine to Israel by Germany, has led to the Israeli government banning him from travelling there. I should first of all declare an interest: Grass is probably my favourite writer. That is mainly based on his earlier writings - from The Tin Drum in 1959 to The Rat in 1987. I find his later novels a bit artificial and have never been a fan of his poetry (which appears throughout all his novels). What Must Be Said is aside from literary considerations politically unbalanced in its approach to Israel and Iran. Having said that, it is a slander to claim - as the Israeli government has in banning him from the country - that Grass, a longtime supporter of the Social Democratic Party of Germany, is a Nazi or anti-semite because he served in the Waffen-SS in World War II. Grass was also accused of hypocrisy after he spoke about his war service in 2006 ahead of the publication of his memoir Peeling the Onion. But to say that he is in the same category as the ex-Nazi officials who became politicians and businessmen in post-war West Germany because as a seventeen year old he was conscripted into a Waffen-SS tank regiment and fought as a gunner on the Eastern Front is ridiculous. Criticise his latest poem by all means but don't argue that he has got anything to admit or atone for because of what he did as a teenage soldier. 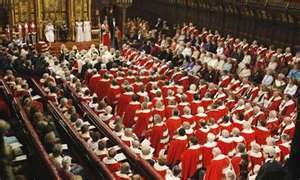 The debate about reforming the House of Lords has dragged on for over a hundred years and the three main political parties are apparently now haggling over whether there should be a referendum on it, what proportion of the second chamber should be elected and by what system. This is all in sharp contrast to the English Republic. Charles I was executed on 30th January 1649, the House of Lords abolished on 6th February and the monarchy on the 7th. Abolish the House of Lords and the monarchy! Up the Republic! BBC2 has dumbed down a lot in the last decade or so, shifting arts and music programmes to BBC4 and replacing them with cookery and interior design shows. But it still manages to broadcast some thought-provoking stuff too and last night's episode of the science series Horizon was certainly that. 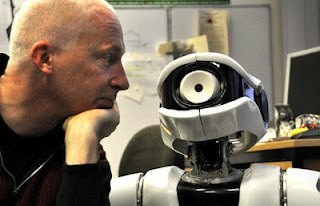 Artificial Intelligence (AI) has still to reach the level where robots can think like humans do but we are further down that road than many people - including myself - had realised. By far the best bit was at the end when presenter Marcus Du Sautoy went to a lab where two robots are teaching each other a new language they have invented, making up words for movements, shapes and colours. To paraphrase the 60's Chicago DJ Pervis Spann talking about people who don't like blues, if you weren't touched by the scene you've got a hole in your soul. Above all, it reminded me of one of my favourite films from childhood, Silent Running, in which hippy ecologist Bruce Dern teaches robots Huey and Dewey to garden on board a space ship containing the environmentally devastated Earth's last forest before killing his crewmates and then himself, blasting the forest on a journey into deep space. One of the pioneers of AI, Seymour Papert, was incidentally a member of the Socialist Review Group when he lived in Britain in the 50's. 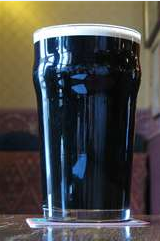 Discussing "craft keg" on another blog a couple of days ago, I guessed that there was a 70-20-10% split between lager, keg bitter and stout and cask beer in pubs. The table below shows that I wasn't that far out. There are a couple of interesting things to pull out of the figures. Although cask beer sales have declined in absolute volume, so have those for other draught beers in pubs. Maybe I'm being a bit too"glass half full" but cask beer's twelve per cent of a smaller market for draught beer seems pretty encouraging to me (there's some evidence that since 2010 cask beer has risen to about 15% and is the only part of the draught beer market that's growing). Without CAMRA, it's probable that the percentage for cask beer would be in single figures (if it hadn't disappeared completely). What the figures do show of course is a move away from pub going over the last thirty years. I'm not dismissing other factors - alternative leisure options, the expansion of supermarkets - but the rising cost of beer as more tax and duty is added at every Budget must have something to do with it too. I've just finished reading Moneyball by Michael Lewis, about how sabermetrics allowed the Oakland A's baseball team to compete on a limited budget. Two things in particular struck me reading it. Firstly, that those paid to commentate on and analyse the game, whether they be journalists, managers or scouts and including lots of ex-players, know no more about how to win baseball games than fans watching from the stands or on TV. And indeed cannot know just by playing or watching the game. The only people who do know are Yale-educated computer nerds who spend their lives analysing the key baseball stats on their laptops as an alternative to working on Wall Street (and those journalists, managers, scouts and fans who read what they write). Another, for me even more disturbing, thing is that sabermetrics emphasises getting on base and not getting out. That means no sacrifice flies or bunts - giving up an out to advance a runner or drive in a run - and no baserunning or base stealing. 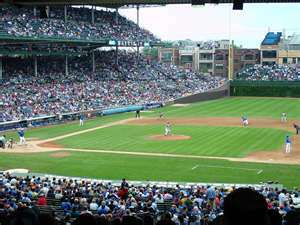 As a fan of National League-style "smallball", I enjoy all those aspects of the game (sabermetrics also dismisses the need for expensive outfielders whose spectacular plays I similarly enjoy). Lewis admits that playing baseball according to sabermetrics makes a team more effective but less aesthetically appealing. There's a poignant scene where Oakland A's coach Ron Washington commiserates with second baseman Ray Durham about him not being allowed to express his talents for stretching a single into a double or stealing a base, recalling his own enjoyment of baserunning as a player. I accept that the stats behind sabermetrics stack up but still think it would be a shame if baseball becomes less enjoyable to play and watch as a result.